You may have been looking forward to your Disney cruise for months or even years. Now it is time to think about what you should include on your Disney cruise packing list. We all know not to forget our swimming gear in the Caribbean, warm clothes in Alaska and a great guidebook for Europe. 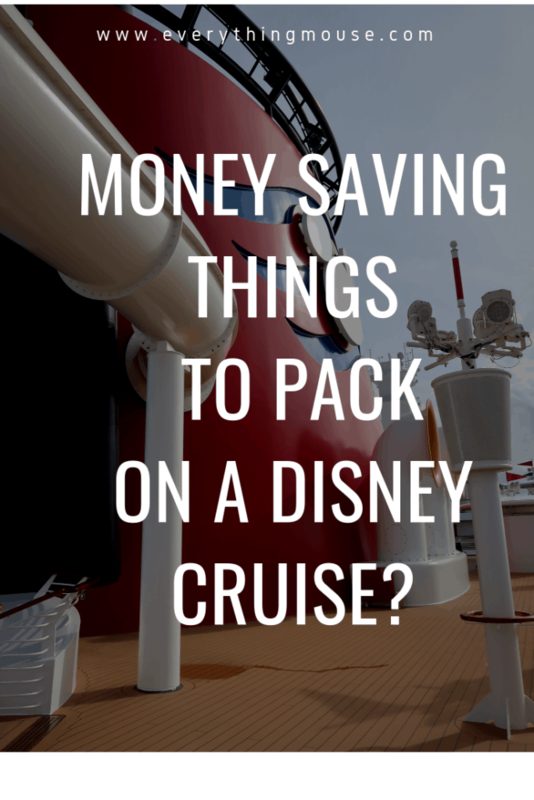 However, did you realize that some items that you pack for your Disney cruise can actually save you money? 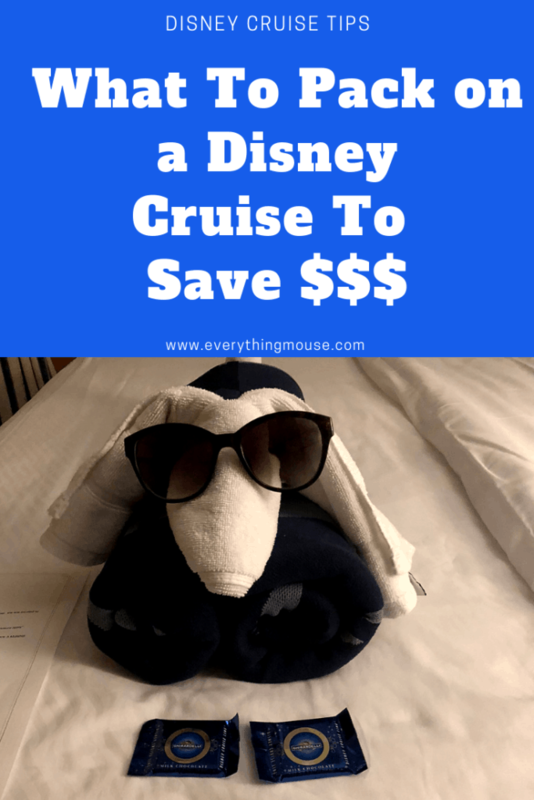 Here are some suggestions of what to pack for your Disney cruise to save you money on board. Even in Alaska you will need sunscreen! You can be sure that they will sell it in the store on your Disney ship. However, it will be much more expensive that sunscreen that you bring with you.
. It’s SPF 45 and water proof. Disney cruise lines has one of the most generous policies of any cruise line with regard to taking your own wine on board. Most cruise lines prohibit it completely. However, you can save a lot of money if you take advantage of Disney cruise lines alcohol policy. 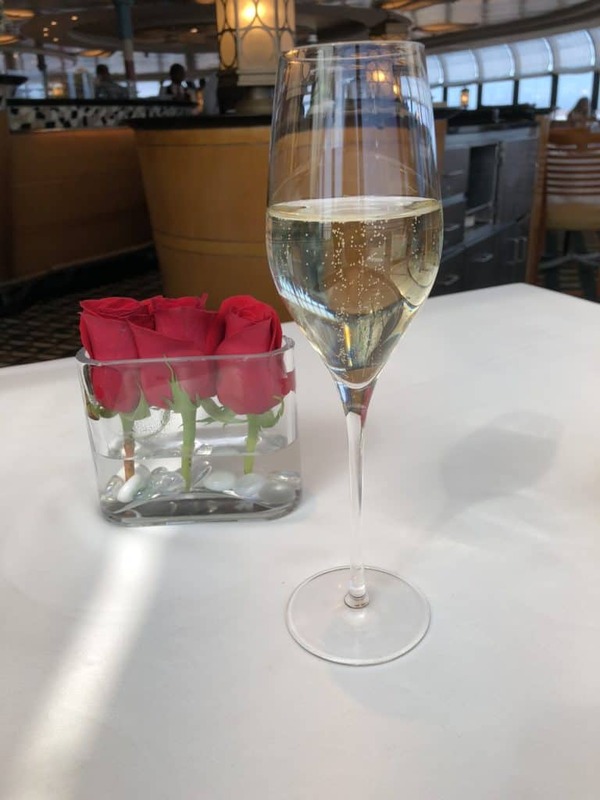 Each adult over 21 can bring up to 2 bottles of unopened wine or champagne on board a Disney cruise. Each bottle of wine should be no larger than 750 ml. As an alternative you can bring up to 6 beers of no more than 12 ounces for each can or bottle. You are allowed to drink the wine or beer in your stateroom. It you drink it in the restaurant you will be charged a corkage fee of $25. 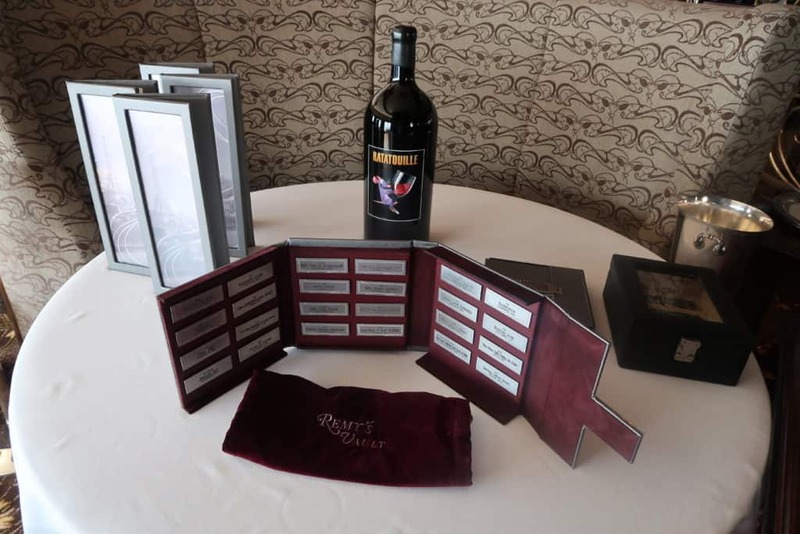 For more information about the Disney Wine Package to see how much you will save if you bring your own, Click Here. This allowance applies when you board the cruise and at each port of call. The wine or beer has to be packed in your carry on luggage. Don’t put it in checked luggage. Security will find it and it will be held until the end of the cruise. Or the bottle will break and you will have red wine all over your suitcase. Neither outcome is great! to keep the bottles safe in our carry on luggage. Disney has a lot of beverages included with the basic price of the cruise. It includes many different types of soda, coffee. tea and hot chocolate. This is available on the pool deck from the self service machines and also in any of the restaurants and the buffet. However, one thing which is not included is bottled water. The water from the faucet in your stateroom is perfectly safe to drink, but we know that many people prefer bottle water. Disney cruise lines allows guests to bring as much bottled water on board the ship as they can carry. It has to be unopened and in carry on luggage. You can bring as much water on board a Disney cruise as you want to. However, you do need to give some thought as to how best to transport your bottled water on to the ship. to either put them in or balance them on top of. Also remember that your Disney cruise stateroom is not going to be ready until 1pm. This means that you could have a couple of hours on the ship balancing those water bottles on your carry on. Just bear that in mind when you choose how to transport it. However, you will save a considerable amount of money if you bring your own bottle water. A 6 pack of bottled water costs $9.75 and a 24 pack is $39. This does not include tax and gratuity. You can buy an SD card on board, but it will be at a premium price. Also you will have a limited choice. It is much better to remember to bring your own. It is a good idea to always travel with a basic first aid kit. There is a doctor on board for more serious issues but if you just want a band-aid it can be frustrating to learn just how much they cost in the store. has the basic supplies that you need. It is wise to put this in your back pack when you leave the ship in port. You never know when you might need it. This can save you a whole lot of money. Keeping your phone or other electronic items safely out of the water is highly important! Losing your phone in the ocean on Castaway Cay is not going to be pleasant. No one really wants to think about this, but a minority of guests do experience sea sickness. If you are one of those people there are many remedies that you can choose to help alleviate your symptoms. work very well for a lot of people. They are a great solution if you want a remedy without taking medication.
. These small circle patches offer a completely natural way of combating sea sickness. I prefer to pack light and do some laundry on a cruise. There are plenty of laundry rooms on the Disney ships. THey do sell detergent, but I much prefer to bring my own.
. They are easy to pack and do not take up much room in your suitcase.
. This spray, which is available in travel size bottles, works miracles on creased clothes, so you may not need to walk down the corridor to iron your shirt after all. You may want to consider bringing your own snorkel gear if you are spending the day on Castaway Cay. You can rent snorkel gear for $32 for adults and $16 for ages 5 to 9. However, you may find you save money buying your own set. All of the beaches on Castaway Cay have sharp stones which can be really uncomfortable to walk on. Get some inexpensive water shoes and you will be really glad that you brought them with you!